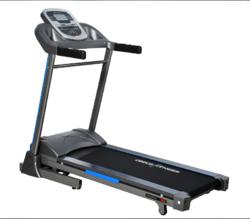 A comfy workstation and a professional treadmill are innovatively integrated by JK’s patented FlipTop design for both safe working while walking and high intensive workout. The newly-launched AeroWork is here to make your dream of Work-Life Balance come true! 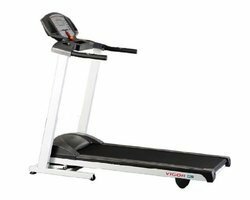 The Contemporary and Thoughtful Design with Adjustable Shock Absrbing System Delivers Exercisers Unparalleled Feel and Quiet Operation. 1 manual, 12 preset Programs in 3 level intensity, 4 HRC, 3 USER. Neo Design and Elegant Appearance. 5 LED Quick Readouts. 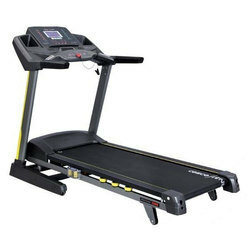 Entry Level Treadmill with Optimum Power. NET WT. : 42 Kgs. Neo Desing and Elegant Appearance. 5 LED Quick Readouts. 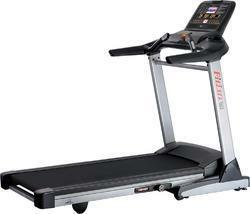 Entry Level Treadmill with Optimum Power. 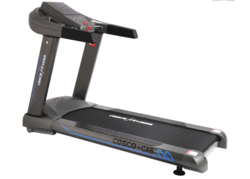 Contemporary and Thoughtful design with Comfortable Running Area. Blue Backlit LCD for clear readouts. 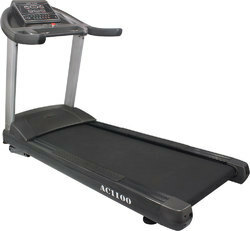 3.0 HP AC Motorized Treadmill (Continuous). 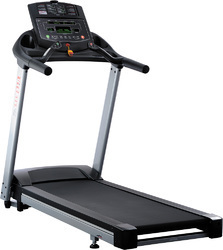 Computer Displays :Speed, Distance, Time, Calorie, Pulse, Body Fat. Speed Range : 1.0~20 Kmph. 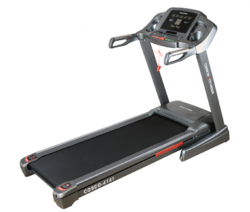 Running surface with shock dissipation system. Dimension : L-2230 x W-810 x H-1500. Max. user weight : 180 Kgs. Net Weight : 150 Kgs. 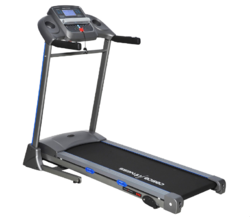 FeaturesSpeed Range: 0~18 Kph.Motor: 2.5 HP AC DutyNet Weight: 108 Kgs.Running Belt: 20 x 55"(50 x 140cms)Display: 7"LCD Display with Back Blue LightMax. 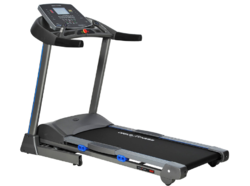 User Weight: 150 Kgs.Incline: -3~15% Motor Incline.Assembly (LxWxH): 2080 x 900 x 1460mmFoldable: YesEmergency Stop: YesOther Features: Negative Incline for Downhill walking EffectFunctions: 2 Layer Running Deck with Cushion, Incline Button on Handle Bar, USB and SpeakerDisplays: Speed, Distance, Time, Calories, Heart Pulse, Program. 4 in 1 with New Meter. Net Weight : 230 Kgs. 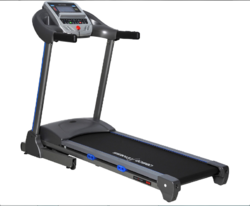 New age Design, 2.0 HP AC Duty Machine with 7 LED Window Displays : Speed, Distance, Time, Calories, Program, Level, Pulse, Body Fat. Mp3 & USB Player. Max. 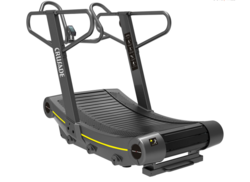 User Weight: 160 Kgs. 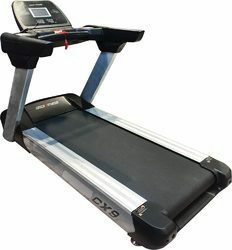 FitLux 583, a great motorized treadmill that combines unique design and innovative technology that fit your smart lifestyle. 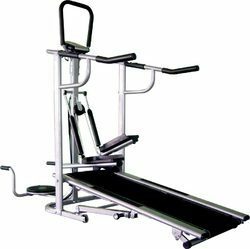 Looking for quality fitness equipment with amazing performance? 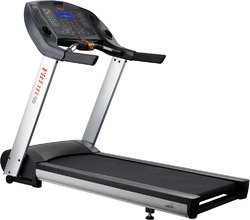 Then look no further than FitLux 583. Patented New ASA Suspension to protect knees and joints. 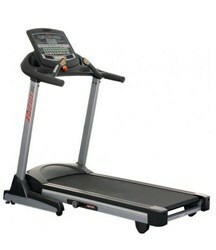 3.0 HP AC Duty Machine with 7 LED Window Displays : Speed, Distance, Time, Calories, Body Fat, Level, Pulse. 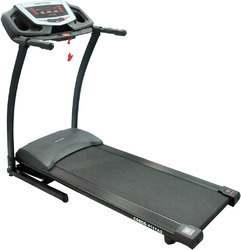 Auto Lubrication System, ensures smooth running of the treadmill over the years. 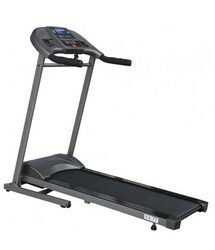 Functions: 2 Layer Running Deck with Cushion, Quick Speed/ Incline Button with Fan and Hand Pulse. 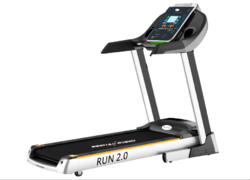 Running Surface with Shock Dissipation System, 12 Pre-set Programs 4 HRC 3 User, Anti Skid Rail. Double Cushion Deck, Wheels for Transport. 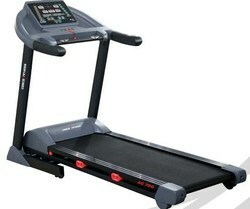 Displays: Speed, Distance, Time, Calories, Pulse, Body Fat, MP3 and USB. 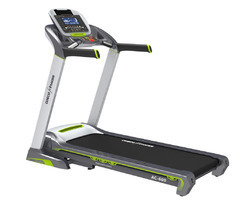 The New 4141 Treadmill is a 3.5 HP DC Motor with High Running Speed and Bigger Running Area and has 7 LED Backlit Windows.The new Ergonomically designed handles add to the convenience of use and smart look of the machine. 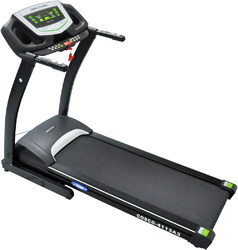 Deluxe Treadmill with 1.25 HP DC Motor (peak 2.0 HP), Six-level Shock Absorption and Semi-Auto Lubrication system. 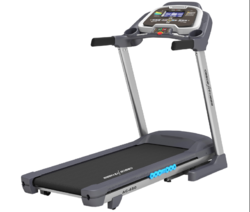 Externally connected with MP3,USB;and internally installed with High-Fidelity Audio. 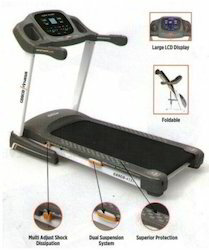 Displays : Speed, Distance,Time, Calories. Speed : 0 ~12 Kph. 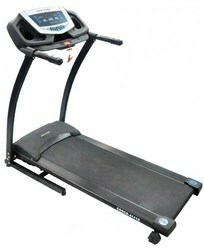 Running Belt : 16" x 48”( 40x120 cm). Net Weight : 64.5 Kgs. 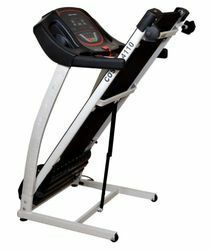 FitLux 657 features all the key specs a serious trainer needs: a powerful AC motor, roomy track, 15% incline, 18kph top speed and patented 5-level cushioning. The smart 12 random programs provide highly challenging trainings. 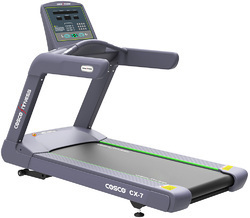 FitLux 657, perfectly meets the balance of cost and performance for light commercial facilities. 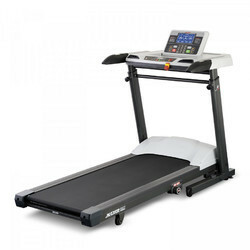 Deluxe Treadmill with 1.5 HP DC Motor, Six-level Shock Absorption and Semi-Auto Lubrication system. Externally connected with MP3,USB;and internally installed with High-Fidelity Audio. Net Weight : 127 Kgs. 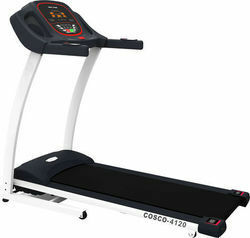 Running Belt : 22 x 60"
Max. User Weight : 159 Kgs.